Adaptable Rice is the basic food for nearly half of the world’s population, it can be kept for a very long time and in the case of famine, can be a lifesaving food source. In some cultures, it is as valuable as money or gold and is an essential commodity for those living in tropical and sub-tropical climates. Cocoa Pre-Colombians have cultivated cacao for millennia playing a fundamental role in the Maya and Aztecs’ nutrition and culture. Whatever its use, food, drink or in exchange for other goods, it was the symbol of energy, fertility and life. Today it is the main ingredient of chocolate and it is grown in over two dozen developing economies. and the coffee bar. One of the most important drinks in the world, it is a huge source of revenue and development to the many countries that have introduced this cultivation into their agricultural development plans providing work for hundreds of millions of people. Fruits and Vegetables contain a large variety of plants with different shapes, scents and colors. Fruits and legumes have been consumed for centuries and are the symbols of myths, legends and traditions in many cultures. Cultivation began in the Mediterranean region, mainly due to it having the best climate to grow and cultivate fruits; the Egyptians, Greeks and Romans were knowledgeable of these food products but it was only from the medieval period that improvements in fruit cultivation took hold. Later, immigrants brought fruit and legumes to the American continent, resulting in their widespread cultivation. Soya and beans were found in Central and Southern Asia and in Central America respectively. 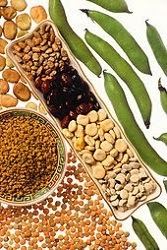 Legumes are a main food source in many emerging countries ensuring food security. As a key part of the food chain and due to their vitamin and mineral content, they are used as a substitute for cereals in the agricultural rotation system, helping prevent land depletion. Their high calorie content plays a vital role in reducing poverty and generally improve health and nutrition across the world. Spice Routes have guided explorers in their search for these precious commodities; a journey through cultures and a unique sensorial experience. 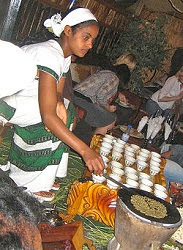 Their cultivation, preparation and use is also tied to medicine and for socio-cultural rituals, including magic. Spices and aromatic herbs have always inspired long journeys; emperors, kings, aristocrats and merchants considered them into the most luxurious product of the ancient commercial routes. In our time, spice production and trade have increased thanks to a trend in healthier eating habits. The Seeds of Civilization Cereals have played a key role in bringing civilization and food to huge numbers of people and are the staple diet of the majority of the world’s population thanks to their nutritional properties, low cost and ability to satisfy hunger. 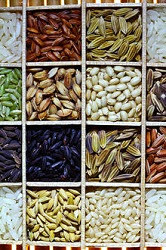 With over 10,000 varieties of cereals and tubers, only a few have been cultivated. Farmers could address important global challenges such as sustainable growth and the fertility of marginal lands not suitable for cultivating maize, rice and wheat and help satisfy the ever-growing demand for food over the coming decades. 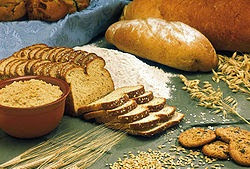 Roots and tubers are now the second most important source of carbohydrates after cereals, containing many minerals and vitamins, and are a basic food for over a million people in emerging countries. Protecting the Ecosystem The Pacific islands, the Western Indian Ocean and the islands of the Caribbean region are small, diverse and remote, resulting in native and self-reliant cultures and economies; unique island nations they share the same challenges. The rise in coastal flooding, the salt levels within the soil and changes in rainfall levels lead to contamination and greatly reduce production in cultivation. This lack of food security also applies to fishing activities. Food without Water The arid zones are quite different from one another. They differ in soil types, flora and fauna, water balance and levels of human activity. Another misconception is that these places are uninhabited when in fact a fifth of the world’s population live in arid zones and suffer from a distinct lack of water. What makes then similar is dryness, measured by weather temperature and rainfall. This index consists of three main categories: super dry, dry and semi-dry. For centuries, man has tried to promote and utilize different techniques in order to find one system for managing hydric sources, such as rainwater collection or water retention. Research has enabled farmers to measure their levels of rainfall locally and either use innovations suited to their conditions, or adapt their own traditional methods to ensure better water utilization levels. Still, the lack of water and the impact of climate change remain a matter of urgency.